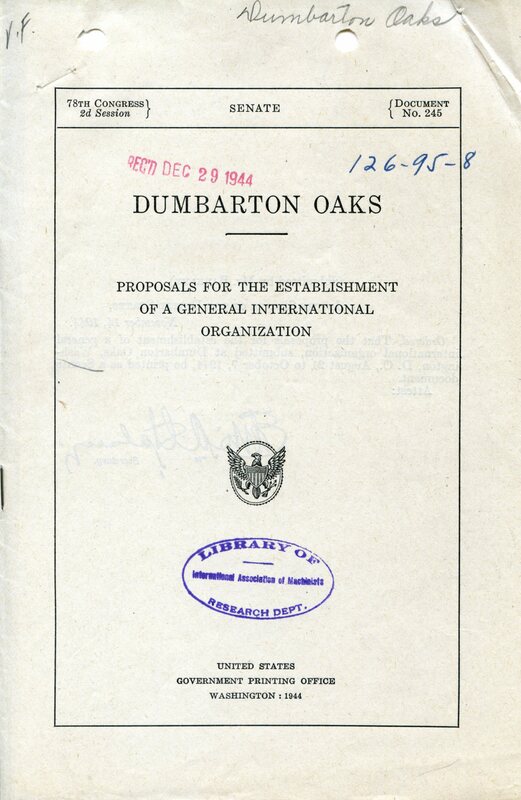 “Dumbarton Oaks, Proposals for the Establishment of a General International Organization,” Senate, Document No. 245 (United States Government Printing Office, Washington, D.C., November 14, 1944). Archives, AR.OB.Misc.053, Dumbarton Oaks Research Library and Collection.